The process of plastic manufacturing leads to the production of varied items ranging from water bottles to toys for the kids. There are many processes and different techniques which go into the manufacture of plastic and each step and process of this plastic manufacture is crucial, time consuming and expensive. However, there are some new methods and techniques which are being adopted with the view of bringing economies to the process of plastic manufacture. Plastic masterbatch in one such cost effective technique which is today being extensively used by all plastic manufacturing units. Masterbatch is not the name of any process but the name of a concentrated mixture of various pigments and additives. This mixture is then encapsulated into a carrier resin. This is done during the heating process. Once the mixture has been securely encapsulated, it is then allowed to cool down and it has cooled sufficiently, it is cut into the shape of granules. 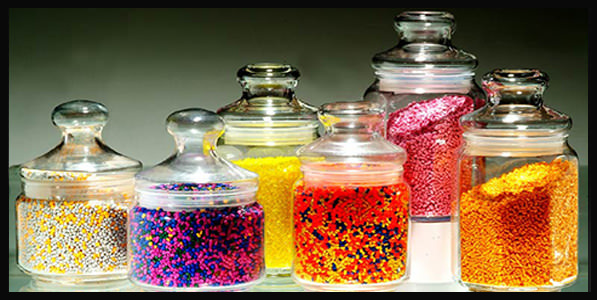 These granules of Masterbatch are then used in the plastic manufacturing process for the coloring of the plastic. Basically the Masterbatch performs the function of allowing the processor to color the polymer in the most economical manner. The first polymer resin required in the process is called the carrier resin and it is used as a device in which the concentrate mixture of the pigments and additives is stored and the Masterbatch is created. The second polymer resin which is required in the process is the polymer which needs to be colored and which will eventually form a major part of the finished product. This polymer resin is also called the dilution resin. There are three types of pigments and two types of additives which can be used for the manufacture of Masterbatch. Inorganic Pigment – This pigment is manufactured through the use of natural raw materials. Some of the most common examples of this pigment are titanium dioxide, iron oxide and many others. These pigments tend to have high toxic content and are hence suitable for many processes like packaging, etc. Organic Pigment – These pigment systems are synthesized and hence they tend to be less stable under heat in comparison to inorganic pigments. However, they are less toxic in nature and hence suitable for the likes of food and packaging industry. Dyestuff – These are used extensively for coloring of fiber. Dyestuff is a manmade dye which is soluble in nature. They have very limited usage, but can prove to be effective in segments like engineering polymers, etc. Performance Additives – These are the additives which are basically added in order to increase the performance of the end product. Processing Additives – as is evident from the name itself, these additives are basically meant to increase the efficiency of the manufacturing process. The use of Masterbatch in the plastic manufacture process is common and used extensively.